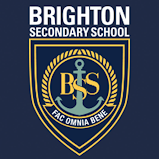 To be held on Friday 30th November, 2018 at Brighton Secondary School. This Conference will provide high-quality professional learning opportunities for middle school teachers and educators, in the fields of mathematics, science, ICT and design & technology. With program inputs from teachers from STEM professional associations, the event is designed to bring together teachers, educators and exhibitors who are interested in sharing and exploring tools, resources and related activities that will ensure successful implementation of STEM education into our schools and communities. The Conference will also provide an excellent opportunity for educators and teachers to exchange ideas about STEM teaching and learning and to maintain and develop valuable networks. Some workshops will address the critical importance of connecting different areas of STEM by considering ways of interrelating science and/or mathematics topics using the tools of technology with engineering emerging through hands-on and real-life applications. Other workshops will address activities to support teaching and learning in more specific topics in the disciplines of mathematics, science, design & technology and IT. The Conference will address a range of the content and pedagogies of the Australian Curriculum: Mathematics, Science, Design & Technology and ICT. Participants should be actively involved in the learning through a practical and investigative approach. Sessions that link to real world examples of contemporary STEM are encouraged. Hosted by the South Australian Science Teachers Association and The Mathematical Association of South Australia.